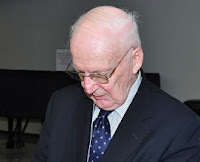 Dr. John J. McLaughlin presented a lecture about the Black Loyalists at the North Jersey Revolutionary War Round Table on February 13, 2013. Dr. John J. McLaughlin wrote his thesis at Drew University for his Master’s Degree in Theology about the Black Loyalists. He became interested in the subject when he took a course in the Revolutionary War. Dr. McLaughlin made two trips to Nova Scotia, visited the Black Loyalist Museum in Birchtown, Nova Scotia, interviewed dozens of the descendants of the Black Loyalists still living in Nova Scotia, and did additional research at Dalhousie University in Halifax. He has given lectures to many groups in New Jersey and elsewhere on the history of the Black Loyalists.